At last a quality wet weather jacket made especially for women! 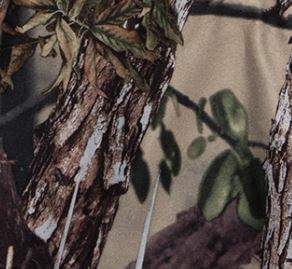 Made from the legendry Ridgeline QuietTex 3KTM material which is designed to keep you dry and quiet in the bush. You’ll love the warmth and features of this camo jacket. With great waterproof and breathability ratings, match it with the Casadora Pants and you’ll be ready to head out in the weather… in clothing that actually fits you. Ridgeline's QuietTex3KTM is waterproof and breathable. Waterproof rating 10,000mm, Breathability rating 3,000g/m, Two Layer fabric, Soft-touch, Silent Shell, Windproof and Seam Sealed.